Veritaseum, Inc. was created and founded in 2014 by Reggie Middleton and a team of two otherwise-unknown software developers. The VERI token itself wasn’t launched until the summer of 2017, and it quickly became famous after its ICO was reportedly hacked. 36,000 VERI tokens were stolen and subsequently exchanged for ETHER. Veritaseum is purportedly built on the Ethereum blockchain, and its use cases include “banking, brokerage, letters of credit, real estate, healthcare” and more. However, there is very little specific technological information to support the claims that the Veritaseum network could actually be used for any of these things. Additionally, there are no partnerships or corporate sponsors to speak of. There are no shortage of articles and forums full of users decrying Veritaseum as (at best) a so-called “pump-and-dump” coin or (at worst) a complete scam. What’s very interesting–and somewhat amusing–is that Reggie Middleton himself takes to the articles and forums that point out Veritaseum’s shortcomings, battling the claims and sticking up for his project. Along with VERI tokens, available for purchase on the Veritaseum website (using VERI tokens) are educational courses on subjects from “European Bank Contagion Assessment, Forensic Analysis & Valuation” to “21st Century Gold Rush – The Grab for Intellectual Property Rights in Smart Contract and Blockchain Technologies”. Most of the course will run you between US$250 and $750, although there are some for as low as $50 and as high as $1200. As a general rule, any course with a high price tag that claims to give “exclusive” or “insider” knowledge without being backed by a serious financial or educational institution should raise some red flags. Proceed with caution. Veritaseum is only available on a couple of rather small exchanges–EtherDelta, Mercatox, and HITBtc. The Veritaseum team “anticipate[s] traditional, centralized exchanges to list the Veritaseum token (VERI) by July 2017”. It’s now September 2017, and there is no sign of any major exchange picking up Veritaseum anytime soon. Veritaseum is earning itself quite a negative reputation, and none of the major exchanges seem to want anything to do with this coin. This is part of the reason that Veritaseum has been able to present itself as a somewhat successful coin; the VERI tokens exist in such a tiny ecosystem that it is not difficult for those who hold the majority of the coins (read: Reggie Middleton and the Veritaseum team) to manipulate the market. Contained in a single exchange, fake transactions between large holders can generate false trading volume, making the coin seem more valuable than it actually is. Were Veritaseum spread across a larger environment, there is no doubt that the value would quickly plummet. Case in point: despite a complete lack of substance, functionality or widespread adoption, the Veritaseum coin has managed to maintain a relatively high token value–$87.20 at the time of writing, and ~$240 at its all-time high. Even coins like OmiseGO, which has an amazing team and shows great promise for widespread adoption, has just broken $12. There is a native wallet for VERI tokens available on the Veritaseum website. 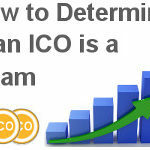 Frankly, Veritaseum has a lot in common with the now-confirmed OneCoin and Swiscoin scams–there is virtually no team and no evidence of solidly-built software. Yet, the Veritaseum website holds the tagline “Imagine having the keys to the internet in 1994”; some kind of implication that Veritaseum users will become overnight millionaires, just like those involved in the dot-com boom (and–lest we forget–subsequent bust). While a number of serious red flags surrounding Veritaseum make these “1994” claims absolutely outrageous, Veritaseum’s landing page surely looks like it is from 1994. Instead of any information about the way that Veritaseum works or how exactly it “disrupts the market” or is better than any of the other coins that provide the same services, there are plenty of videos and blog posts about how terrible the world’s existing financial systems and institutions are rotten. Undoubtedly, most people in and out of the cryptocurrency community would probably agree with this sentiment. This is quite an adept marketing (*cough*manipulation*cough*) technique–throwing “shade” on “the other guys” in order to present yourself as the “savior”. The Veritaseum team successfully feeds into the existing ethos of resentment toward the institutions that essentially control our money, and explains blockchains and smart contracts in a way that would probably make sense to someone who had no knowledge about the way these technologies actually work. However, Veritaseum stops short of providing any substantive reasons to trust in Veritaseum’s technology or team. Let’s cut right to the chase–the future does not look so bright for Veritaseum. 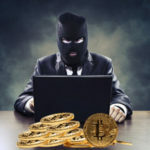 There is lots of evidence to suggest that if the coin isn’t an outright scam, it lacks the potential to become a tool that would ever be adopted for widespread use in any industry. A simple glance at the Veritaseum website should be enough to give anyone pause. Reggie Middleton itself has pushed back at critics who have pointed out the site’s unprofessional appearance, saying that the substance of the coin is much more important than the appearance of its website. However, the fintech industry is a serious industry that deals with serious assets–if any company can not even be professional enough to get its website together, there is no way that they can be professional enough meet the challenges and provide the services required of them when they are managing people’s livelihood. If you have any doubts about anything that has been said here, do your own research. In any circumstance, doing one’s “homework” is the key to being a successful, safe, and smart investor. In and out of the crypto sphere, it’s important to know what constitutes a scam. Be wise, be careful, and educate yourself.